Home > Campus News > Nation calling! MET League of Colleges in association with Loksatta - Campus Mood supplement, launched a youth social campaign. 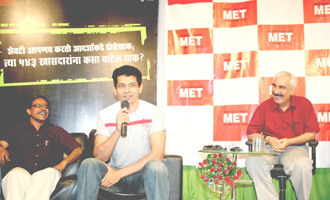 Leading Bollywood actor Atul Kulkarni inaugurated the awareness drive to create a movement amongst the youth, to vote and accordingly select and elect their constituency leader for the forth coming Lok Sabha elections.